In Iceland a shady businessman is murdered by two masked men. City CID Police Officer Gunnhildur Gisladottir (known as Gunna) along with her colleague Eirikur are leading the investigation into the deceased’s background. They find a complicated business relationship with a colleague (who does not live in Iceland) - Elvar Parsson and a couple who are Icelandic residents - Sunna Marie Voss and her dentist husband Johann Hjalmarsson. Gunna finds that nothing is what it seems. Answers are hard to come by, everyone they speak with respond evasively. Are the two murderers still in Reykjavik? Other colourful characters play their part in the story: the wily burglar Orri and his girlfriend Lisa and the three cleaners from the Reindeer cleaning company - Valmira, Emilija and Natalia. Gunna will be very frustrated before she can make sense of this complex murder. 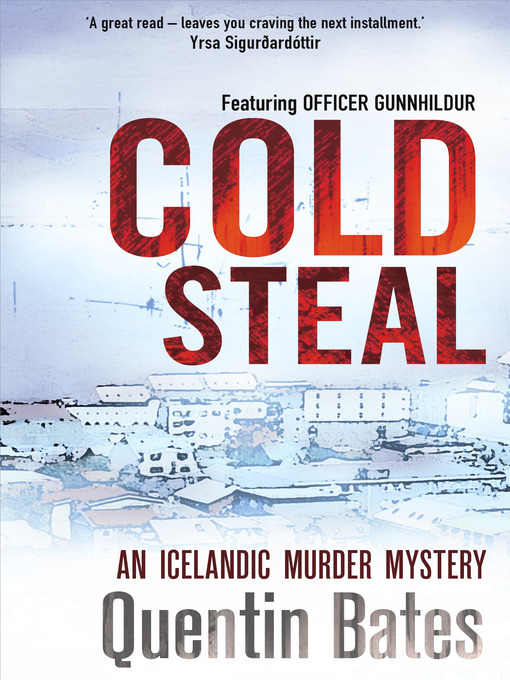 COLD STEAL is a good police procedural and recommended, though the local names may take some getting used to. Gunna is an interesting character, her close family life is very complicated, and I look forward to reading more about her exploits. The author lived in Iceland for some time and obviously knows it very well. Iceland is an interesting country and appears to be well worth visiting.